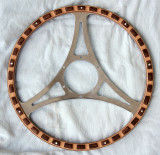 This wheel available in 15" and 16". 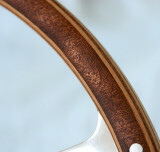 Hand laid ply laminate rim of mahogany and beech. 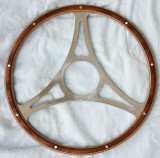 See my blog for a description of the rim.